A properly working septic system can save you a lot of hassle if you work with a company who knows what they’re doing. 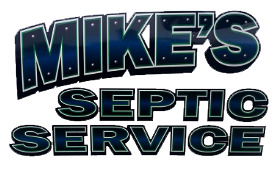 Thanks for choosing Mike&apos;s Septic Service LLC, owned by Mike Runkle, your local expert. Whether you need your septic tank installed or pumped out, we can handle it. Is your home’s septic system faulty and you don’t know what to do? We have a range of septic services to keep your system flowing smoothly. To speak with a crew member, call us at (717) 586-2050.